Learning how to manage stress is probably the wisest thing you can do for yourself. We all hate that crippling feeling of anxiety, especially before a big event or a speech. It can be really negative to our performance and productivity. Most people go for certain drugs to help them stay relaxed. However, what if you can keep your stress at bay simply by listening to a 5 min song? That’s drastically healthier than filling yourself with pills. Scientists say creating a playlist of 10 MOST relaxing songs in the whole world is a POWERFUL trick. But what are the 10 MOST relaxing songs in the world? Even though most of us have a couple of personally chosen relaxation tunes that work best on ourselves, Neuroscientists have gathered together to sort out the best from the best. Neuroscientists from UK made a study conducted on participants who attempted to solve difficult puzzles as quickly as possible while connected to sensors. The puzzles induced a certain level of stress, and participants listened to different songs while researchers measured brain activity as well as physiological states that included heart rate, blood pressure, and rate of breathing. In fact, listening to that one song “Weightless” resulted in a striking 65 percent reduction in participants’ overall anxiety, and a 35 percent reduction in their usual physiological resting rates. Equally remarkable is the fact the song was actually constructed to do so. The group that created “Weightless”, Marconi Union, did so in collaboration with sound therapists. Its carefully arranged harmonies, rhythms, and bass lines help slow a listener’s heart rate, reduce blood pressure and lower levels of the stress hormone cortisol. 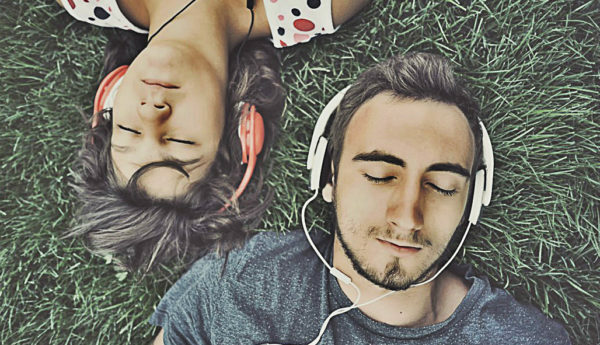 Here is the complete playlist of 10 most relaxing and stress releaving songs.